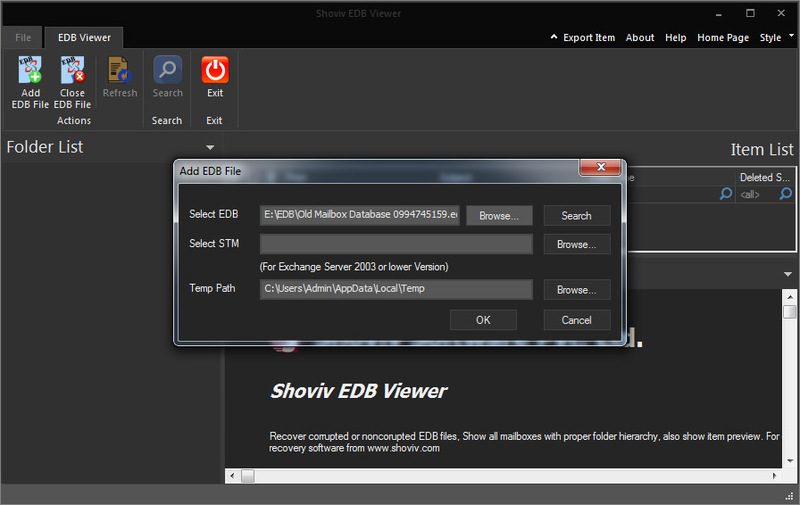 Exchange EDB Viewer from Shoviv is the best solution to check data from EDB files. No matter if EDB file is damaged, this tool allows you to check entire email data from Exchange EDB mailboxes without restricting you to get a view of specific email or attachment item. Damaged and deleted elements from EDB files will also be accessible to view via using this software. The facilities offered by this tool are enlisted underneath. It permits to check each and every element of EDB files once the files are loaded. 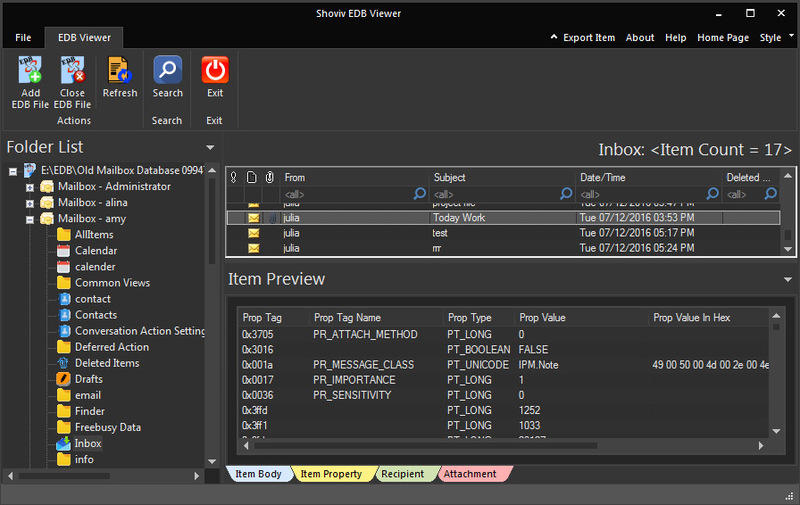 From emails to attachments including events, contacts, calendar events, notes, and much more will be visible with the use of this EDB free viewer. From various Exchange mailboxes, you can check EDB data. 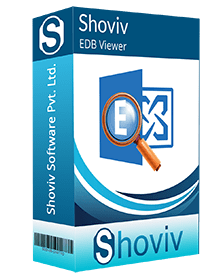 If you want to add multiple EDB files at one time to view the details within them then, it is also possible with this tool. It will not slow down the process anyhow. However, the scanning for multiple EDB files can be done, the only impact over speed will be distracted if the EDB files are large in size. No matter if the EDB files you have are large in size. Oversized and increasing EDB files will be smoothly accessible without limiting you up in any manner. However, the EDB files from private mailboxes and public mailboxes will be easily accessed without any limitation and destruction. If you are worried that EDB files are many in number and the tool may put you annoyance while you view EDB emails then, you do not need to worry. This tool plays the crucial role to manage and keep the order of all elements in perfect hierarchy for various Exchange mailboxes. This tool is beneficial for you if you want to see the screening for deleted items of EDB files from different mailboxes. It allows getting the preview of any item that you deliberately or unwillingly deleted from EDB mailboxes. So, no matter you want to see corrupt or deleted EDB items, with this tool you can. If it is all about to get worried for the accessibility of private or public folder data then, you should keep your all worries away. This solution helps you to see the content from private and public both kinds of EDB mailboxes without putting you up in any kind of hurdle or issue. Is this tool helpful to work with when I need to access private EDB folders? Yes, you can easily use this tool for accessing not only private folders’ EDB data but also, you can easily view the data from public folders without being worried about losing single bit of data. Will it allow me to load multiple EDB files at one go without wasting too much time? Yes, the process to load multiple EDB files is easy and flawless with this amazing and easy EDB viewer tool. It will not take too much time to load multiple EDB files. With which version of Exchange EDB files, it works? 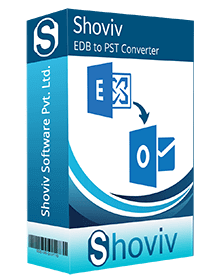 This tool is helpful to access any EDB file generated under any version of Exchange Server so; you need not to get worried for the particular edition to be used in EDB creation. Is there any chance to repair, view and save EDB in other file like PST? No, this tool has not any of such facilities. You are only allowed to view the content from EDB files so that you can be sure that data is in healthy mode and can be used without any restriction in Exchange Server.